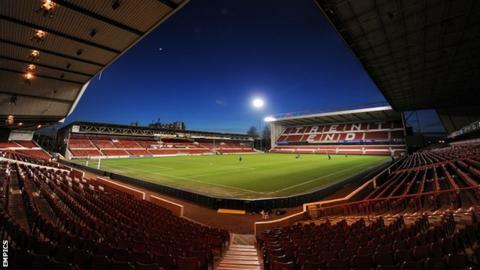 Nottingham Forest are no longer under a full Football League transfer embargo, BBC Radio Nottingham reports. Forest were already under a part embargo because of breaching Financial Fair Play rules. A full ban was imposed last week for failing to meet the latest instalment owed to Peterborough for £5m summer signing Britt Assombalonga. But the Reds have now paid, meaning they can register players, albeit under the restrictions of their original ban. An automatic ban on registering any new player follows when a club defaults on a transfer payment. Meanwhile, club chairman Fawaz Al Hasawi confirmed on Twitter that goalkeeper Dorus de Vries has signed a two-year contract extension. The 34-year-old has made 14 appearances for Forest since signing from Wolves in July 2013.